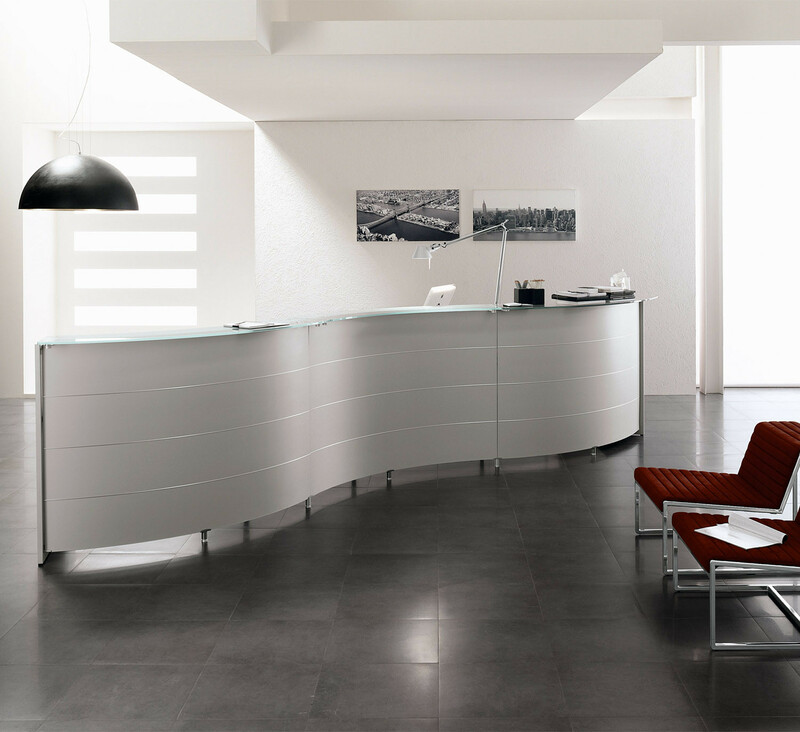 Luna Modular Reception Desks from Sinetica Design Labs is a range of versatile modern reception desks. 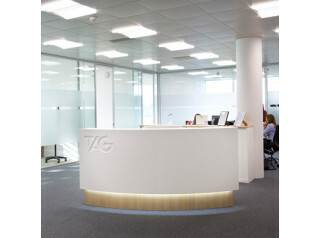 The reception area is usually where clients and visitors will get a first impression of your company. 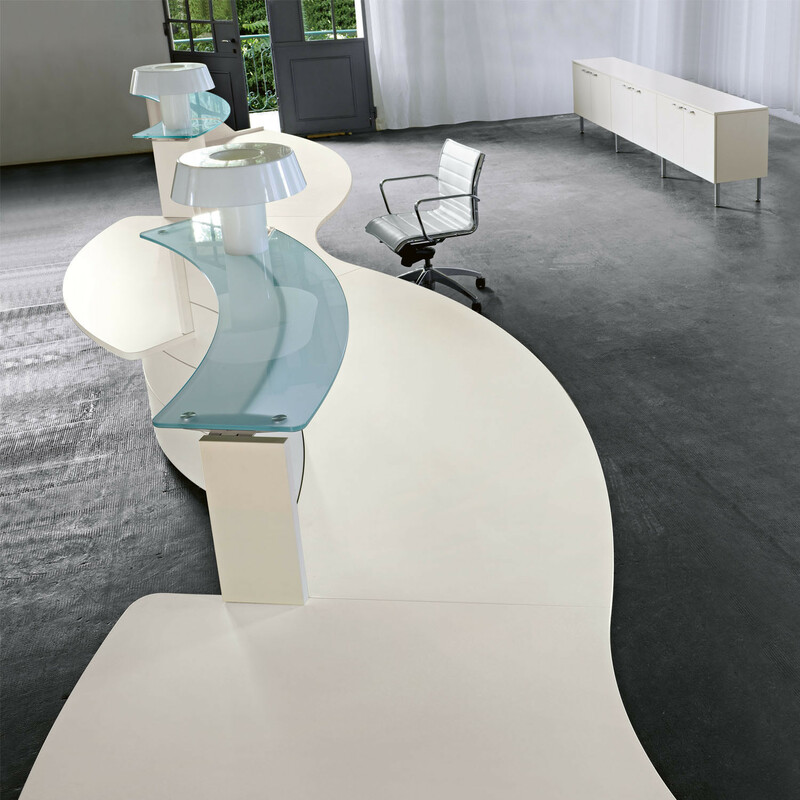 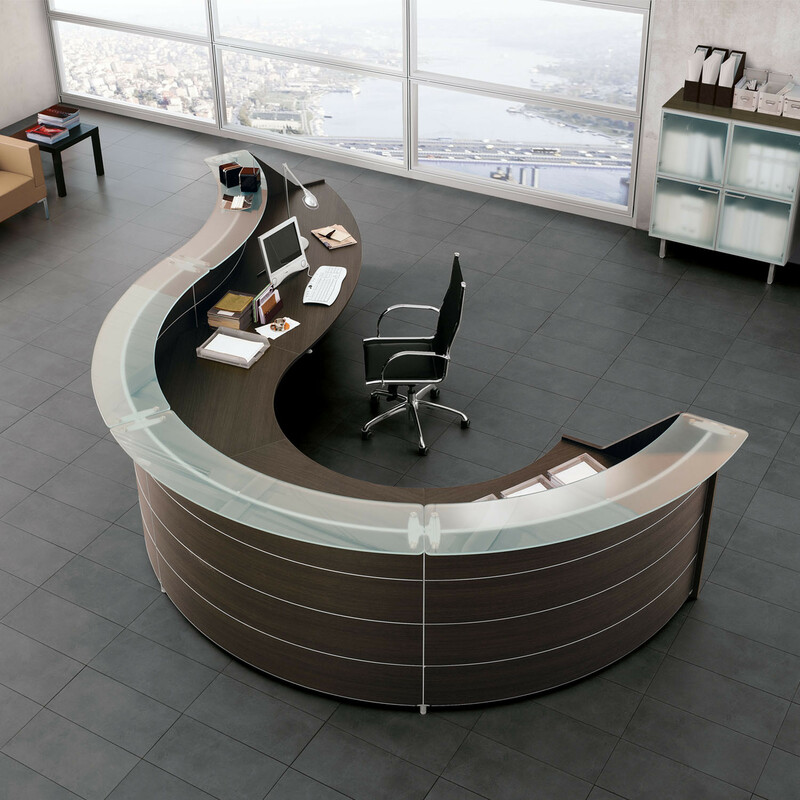 With Luna Modular Reception Desk you can choose exactly how you want your counter reception desk to look. 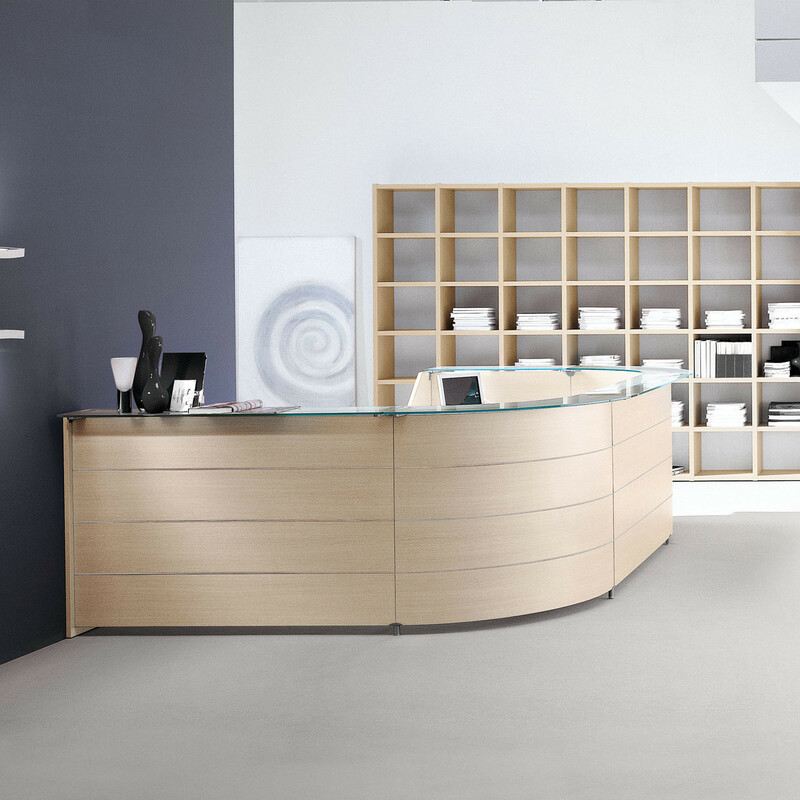 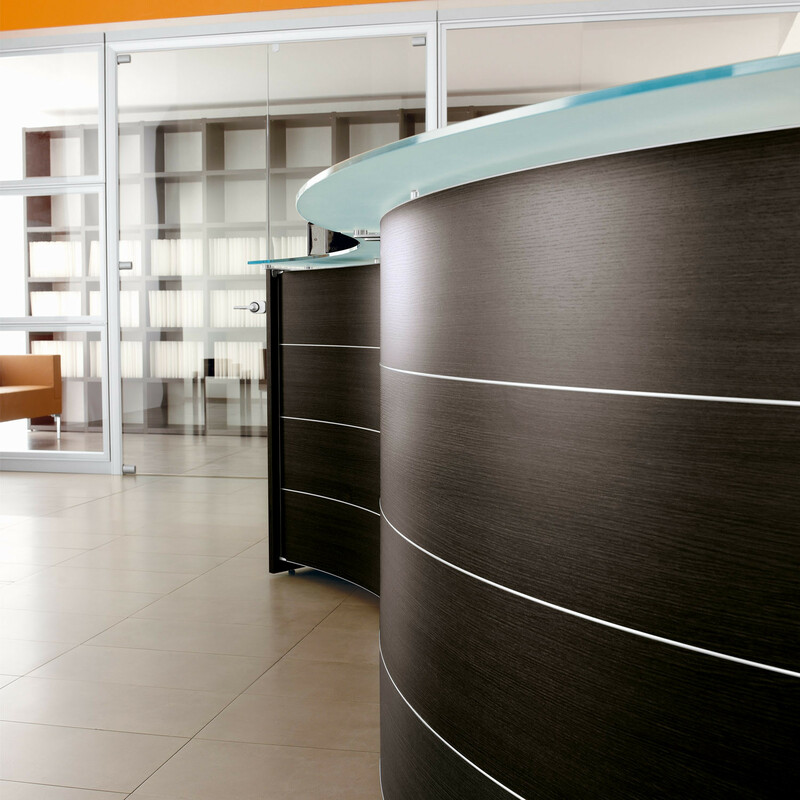 Choose from curved or linear modules along with storage units for a receptionist desk that is tailor made to your requirements. 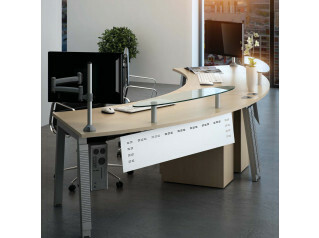 A desk height section is available for wheelchair access. 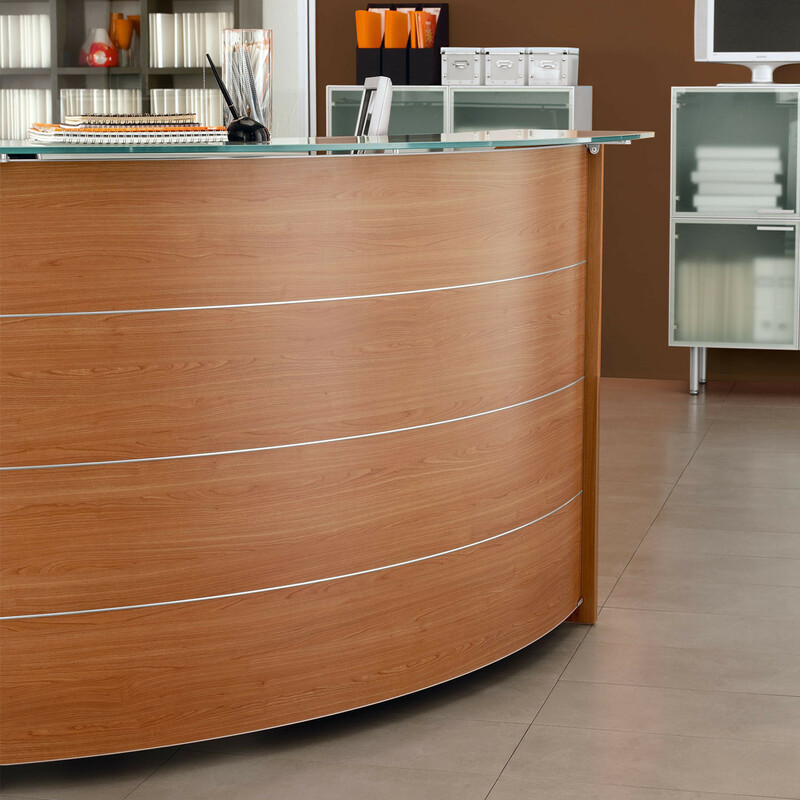 Luna Reception Desk boasts a wide range of finishes from real wood veneers or laminates, with glass counter top and shelving options. 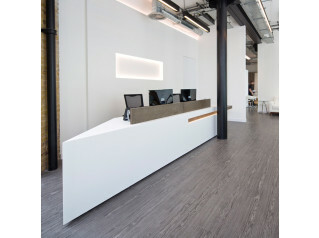 Desk mounted lamps and integrated cabling complete this modern reception desks range. 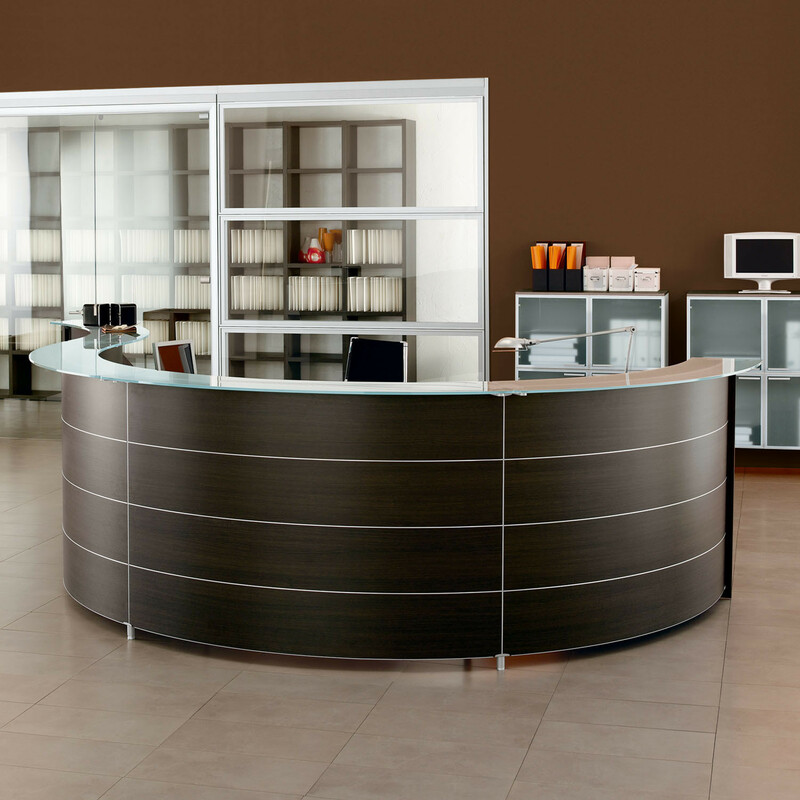 You are requesting a price for the "Luna Modular Reception Desks"
To create a new project and add "Luna Modular Reception Desks" to it please click the button below. 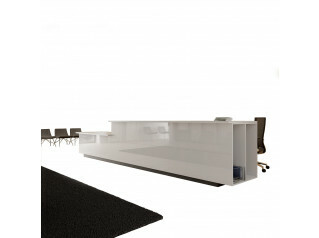 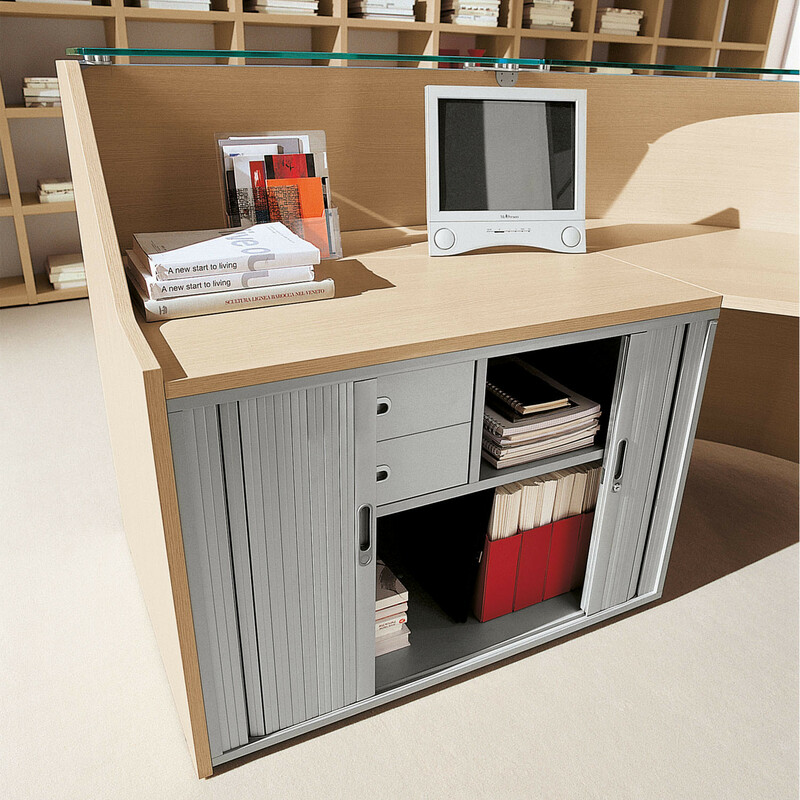 To add "Luna Modular Reception Desks" to an existing project please select below.